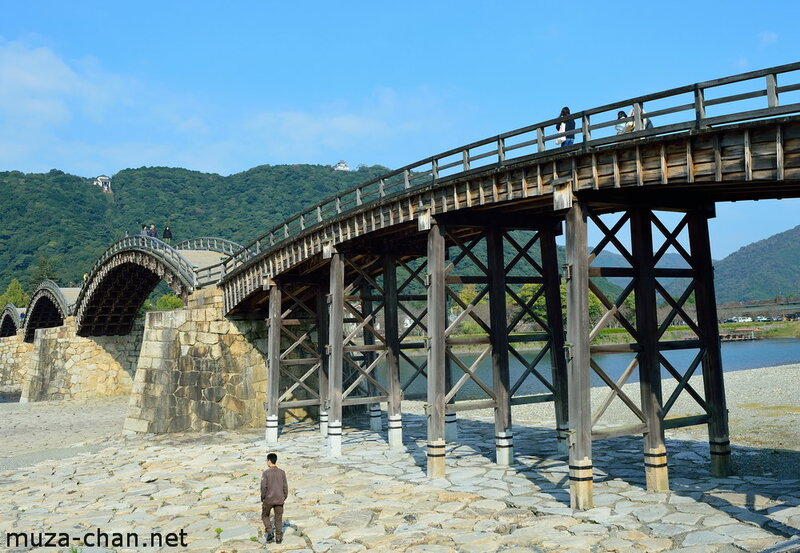 Built by using an original method, Kintai-kyo in Iwakuni is one of Japan’s finest three bridges. With a total length of 193 meters, the today’s bridge is the 4th reconstruction, made with the same stones used for the original construction. Three types of wood were used for the timber work, Japanese cypress, zelkova and pine. A modern change is that metal nails were used, and an interesting fact is that the nails are made of the same metal as the Japanese blades.